Traffic was stopped briefly Sat. 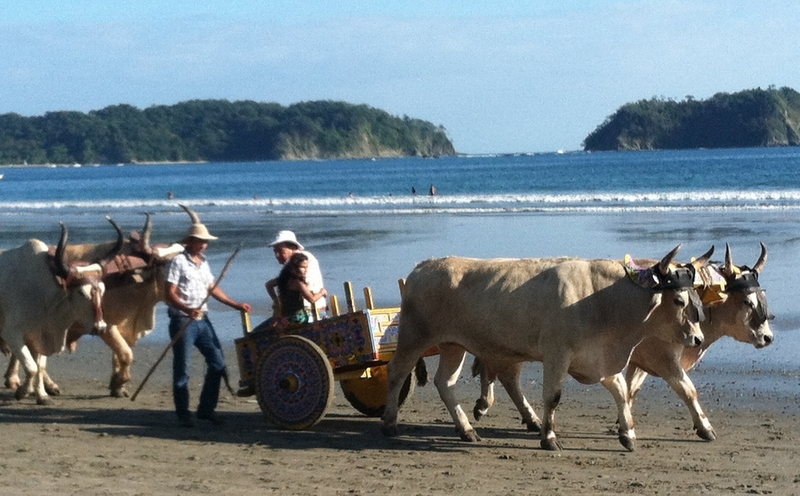 morning when trucks were unloading their bueys (oxen) and carts in Carrillo. 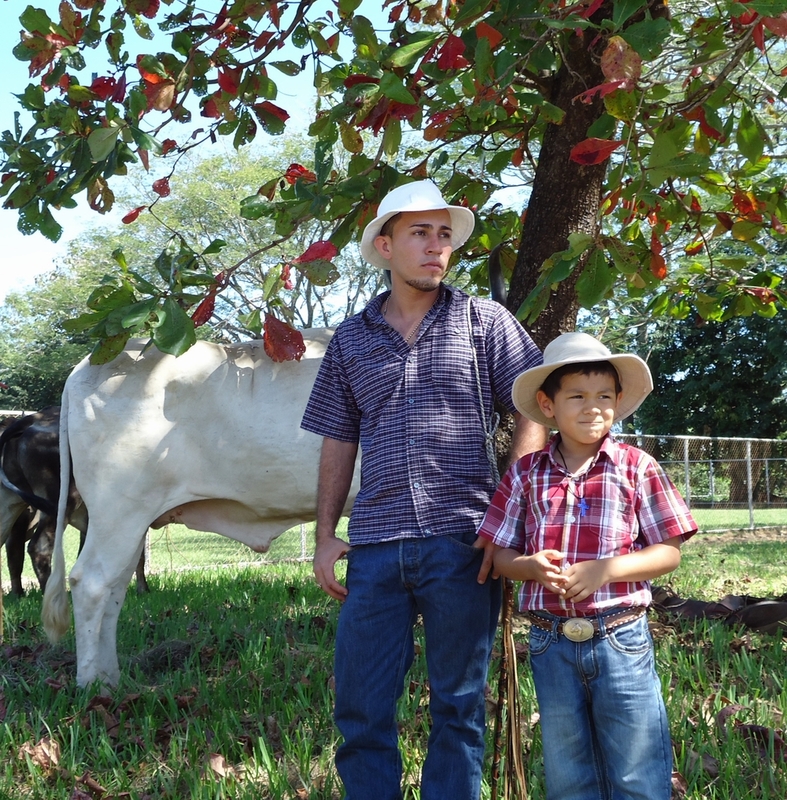 The vaqueros came in from the ranches for a parade of carretas (ox carts). The parade started in front of the soccer field and continued along the two beaches to end up in front of the church in Samara. 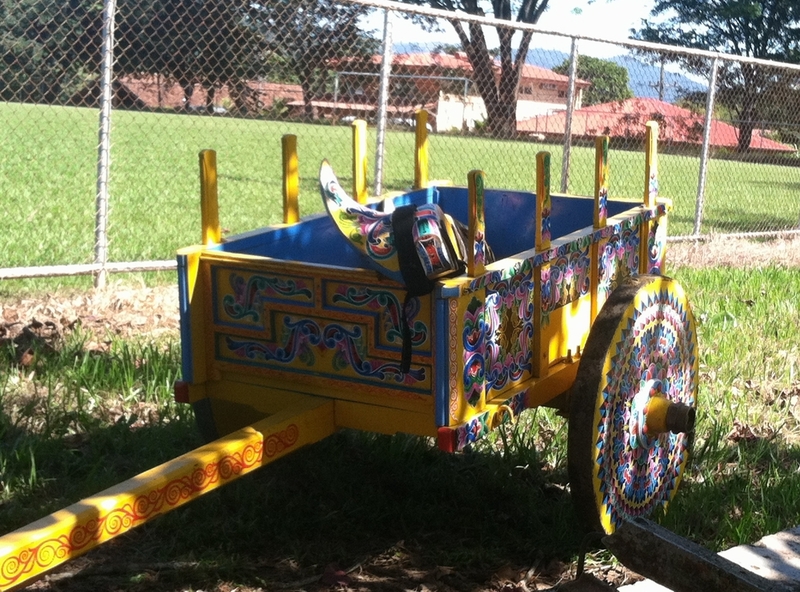 Some of the carts are simple utilitarian constructions, probably used to haul logs in this part of Costa Rica. 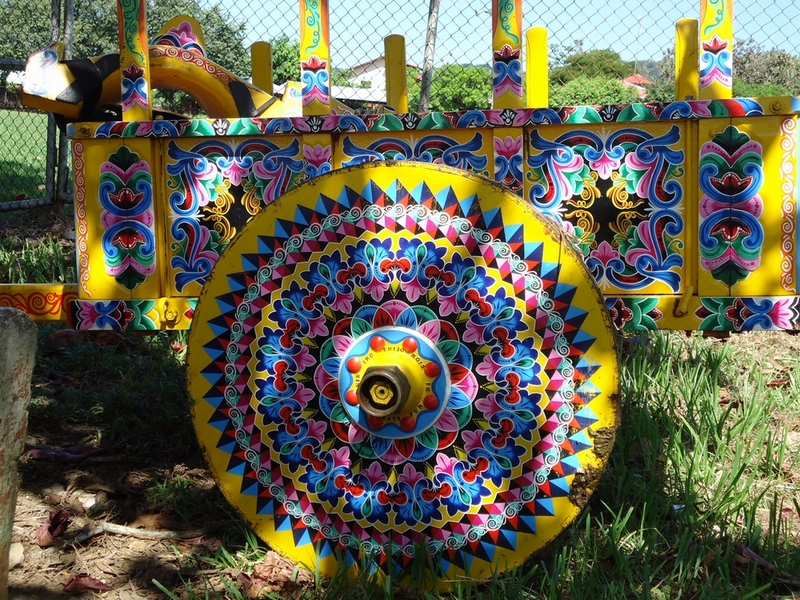 But most carretas are gorgeous, painted affairs with matching yokes. 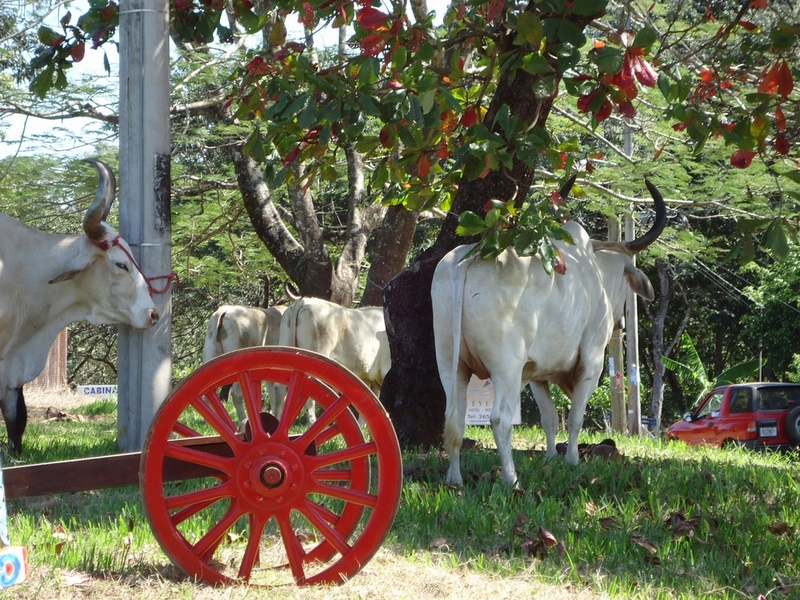 Costa Rican ox carts were used in the mid 19th century to haul the coffee from the central valley to the port in Puntarenas. The solid disk wheels were developed to cut through the muck and mud without bogging down. 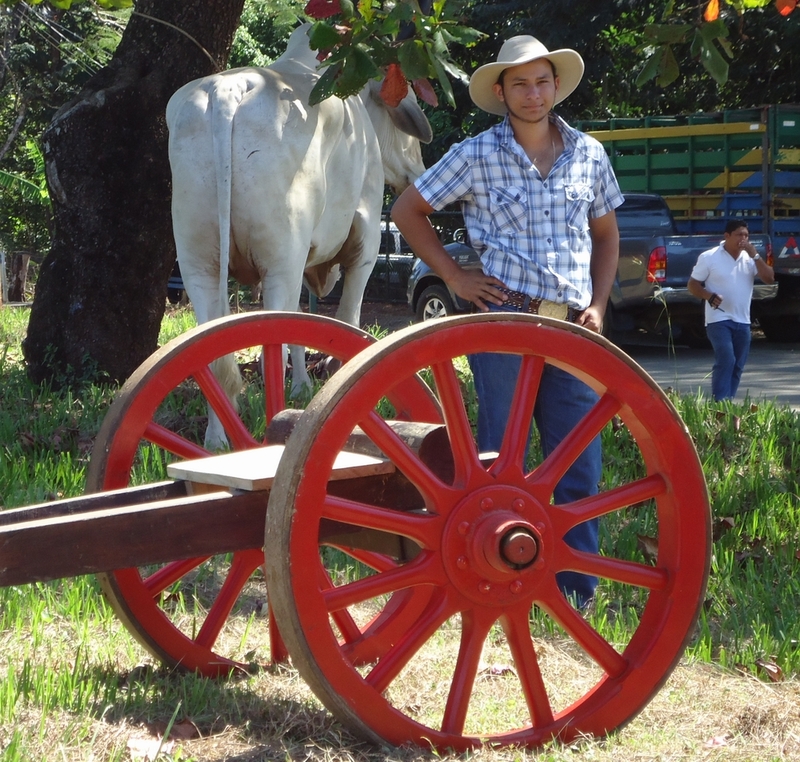 A good solid ox cart meant the difference between a successful trip to market and financial ruin. It was a farmer’s source of pride. 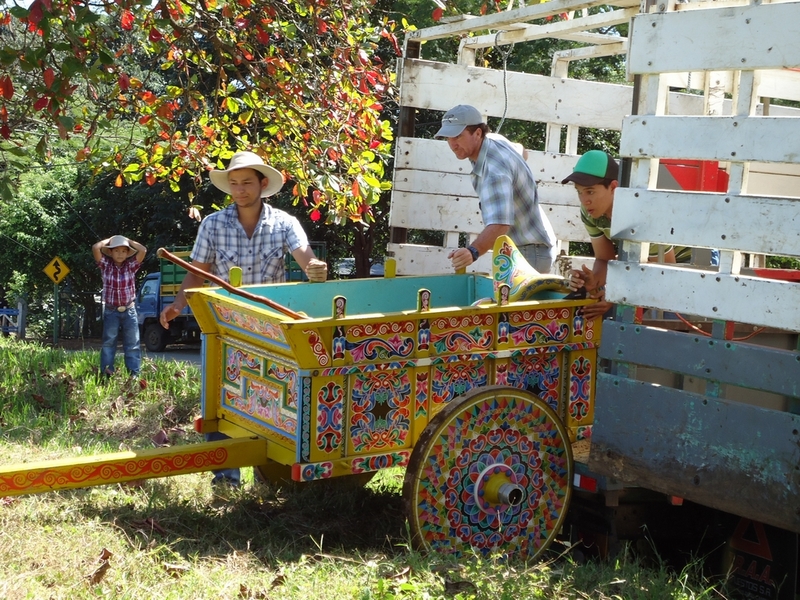 Painting the carts in intricate geometric and floral patterns began around the turn of the 20th century, with the first factory opening in the mountain village of Sarchi in 1903. Originally, each region of Costa Rica had its own particular design, and you could tell where a farmer was from by watching the pattern on the wheels of his cart. Now, they are used mostly for decoration and religious festivals such as this one, even though, these cowboys couldn’t tell me which virgin they were honoring this first Sat. in December. So it was for Fiestas Patronales de la Inmaculada Concepción de María. Next year I’ll remind you. Beautiful photos, Lavae. I wish I knew about these events. Maybe next year. I’ll try to keep you posted. Turns out it was the Dia de la Concepcion Imaculata. Nice article on the event. CR sometimes seems lacking in much local culture. But there are little gems such as this. Thank you for this blog – it is great! 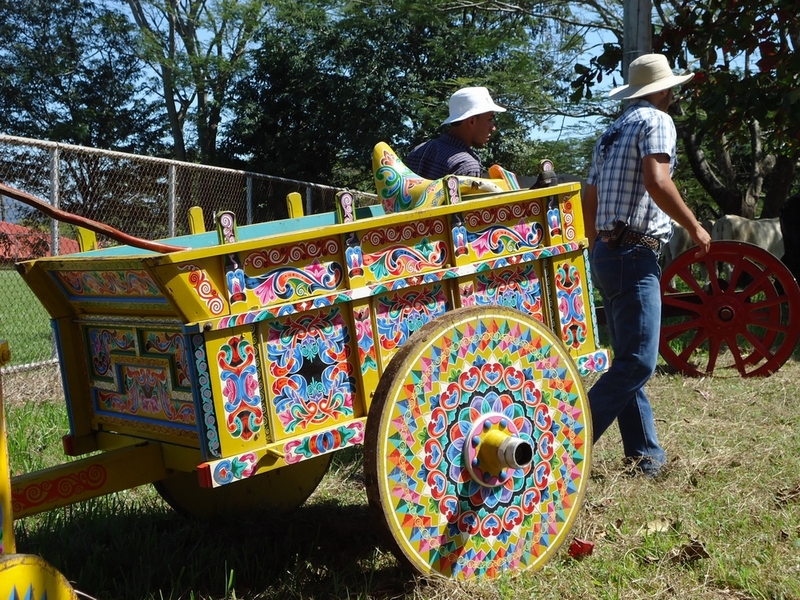 I love these ox carts – they really spent some time painting them. I think I could sell them in the U.S. lol Hope to meet you in the coming months – maybe by the end of February. Merry Christmas!